Teresa is a Lecturer in Volcanology at The University of Queensland. She is passionate about understanding how volcanoes work and what causes them to erupt. 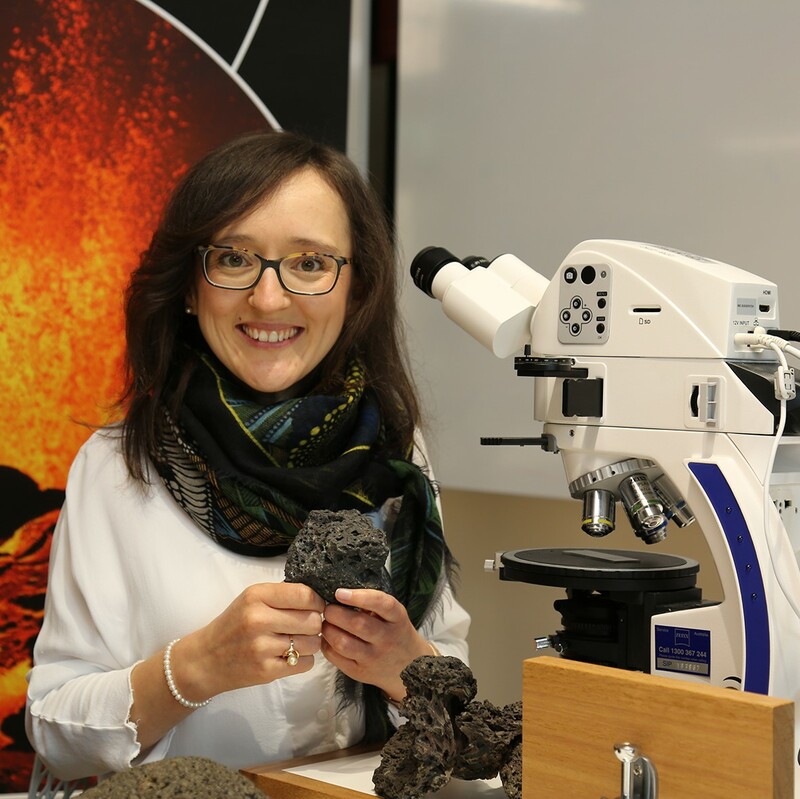 Teresa’s team investigates volcanic systems around the world, by combining field observations and detailed microscopy with advanced laboratory techniques. She is particularly interested in crystals that grow inside volcanoes and that are transported to the surface during eruptions. These tiny crystals hold a long, detailed record of the processes taking place prior to eruption. Understanding the processes that led to eruptions in the past is key to better predict how volcanoes might behave in the future. Originally from San Sebastian (Spain), Teresa joined UQ’s School of Earth and Environmental Sciences as a Lecturer in July 2016, after completing her PhD in Spain (December 2013) and holding a research fellowship at Trinity College Dublin (2014-2016, Ireland). Teresa has contributed to national radio and TV. She has been interviewed on national and international media and by Scientific American, and written for The Conversation. For her contributions to research and science communication, she was awarded Australian People’s Choice at 180 Seconds of Science (2016) and Fresh Science (2017). She is a recipient of a Young Tall Poppy Award (2018). She is an advocate for women in science and is the Chair of the Dorothy Hill Women in Earth Sciences Symposium (UQ). She is co-founder and Vice-President of the network for Women in Earth and Environmental Sciences in Australasia (WOMEESA).